Some time ago Bob came to us with a wild idea, one born from a conversation he had with Chef Frank Caputo at the Cancer Treatment Centers of America (CTCA). We had been working with the CTCA for some time, supplying organic produce to the hospital to serve their patients while they are undergoing treatment. The hospital is fully committed to serving the full needs of their patients, not just medically, but also spiritually, holistically, emotionally, and also important to aiding their treatment and recovery, nutritionally. The idea was this, why not start an organic farm there on the hospital grounds at the Cancer Treatment Centers of America? It seemed like a wild idea at first. And then it didn’t. They had the same shared commitment and belief as we do that the foundation of good health starts with good nutrition. As a hospital treating patients who are in the midst of battling devastating cancers, they feel strongly that organic foods are a critical component to treatment. They have seen the damage from growth of conventionally produced foods and that 40% of cancer deaths can be attributed to poor nutrition. 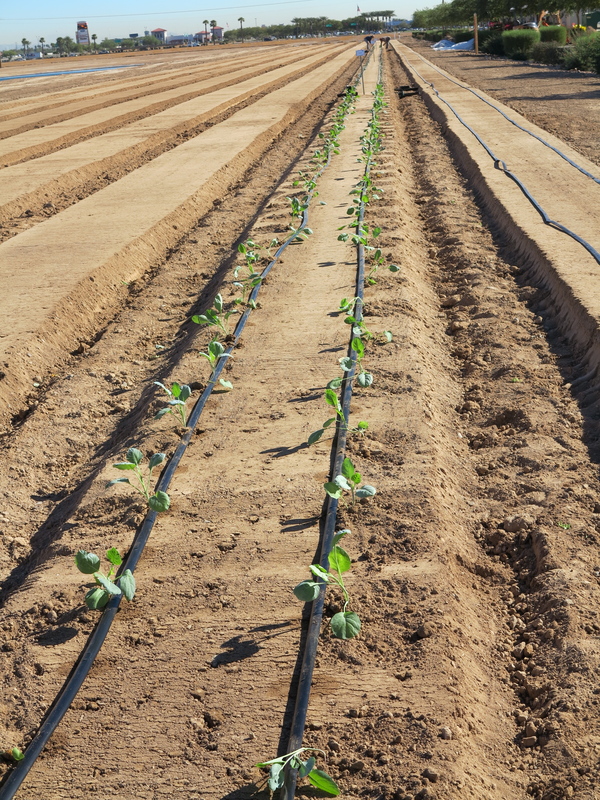 Conventional farming has become so large that it is mainstream, and with it has come the proliferation of by-products such as the degradation of soil quality and an increase to the exposure of toxins in the air, water, land, and sadly, in the foods grown. 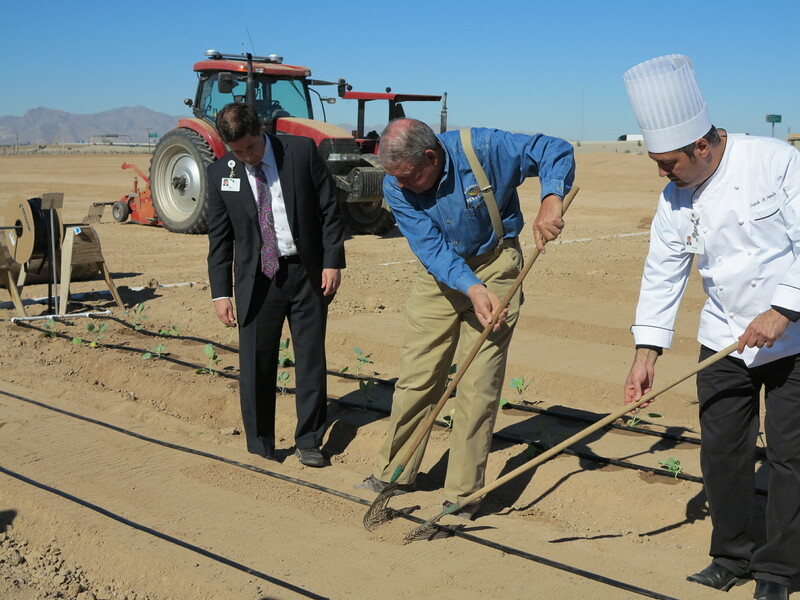 We were already supplying the CTCA, but both Chef Caputo and Bob couldn’t help but look at the large tract of land right outside the kitchen and wonder if we couldn’t do something more, something bigger. They had the land and we know how to farm. It seemed organic. Suddenly a hospital having an organic farm of its own, right on their property, didn’t seem like such a crazy idea. In fact, it seemed to make a lot of sense. How else to demonstrate not just a commitment but an ardent belief, that our bodies are cared for best by food that comes from the ground pure, without pesticides or genetic modifications. To have a chef, or doctor for that matter, be able to point out the window and explain where a patients meal is coming from or watch as it is being harvested, drives the point of eating fresh, local and seasonal. When this idea started to grow, there was much to consider. This partnership will effectively double the size of our acreage. We spent months working with the CTCA, looking at the water sources and the soil quality, figuring out how it would work, where it should be located, what type of infrastructure would be needed to accommodate an organic farm on their property. They are wanting to not just grow and serve organic produce to their patients, they also want to give patients access to a demonstration garden to create a place for patients to mediate and commune in the fresh air. The organic garden area will be next to the farm, along with a teaching and cooking demonstration area, so that Chef Caputo and his staff can offer cooking demonstrations and classes. Part of the treatment protocol at the CTCA is nutrition and cooking education, so that every patient can learn about how to aid in their own recovery through a proper diet and nutrition. Through every step it was clear that the CTCA was as serious as we are about making this work. And today, the first seeds were planted. This morning we had a seed planting ceremony in an area that will be part of the a designated patient garden. It was a joyous occasion, with many of the brave patients and caregivers at the CTCA coming together with members of the hospital’s medical team, staff, administration, and kitchen. There were beautiful, inspiring words from Matt McGuire the Senior Vice President of Operations, from Chef Caputo their Executive Chef, and from Bob. The chaplain gave a blessing, and everyone was given seeds to make this ground into a farm. 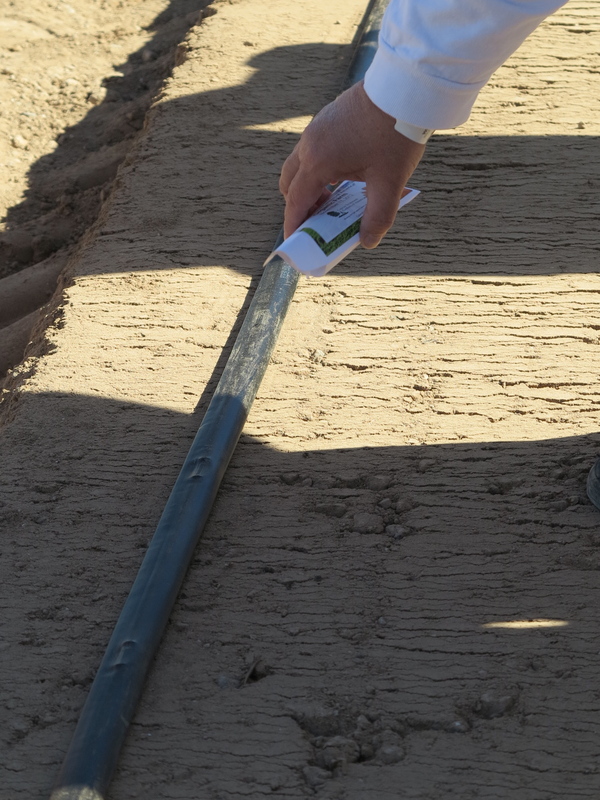 Before a farm can be considered USDA Certified Organic, there is a three-year transition time to convert the ground. We have already done the soil and water testing to make sure that organic certification will be viable after this transition time. Over the course of the next three years in preparation for organic certification we will be farming this new land as we do our current farm, by putting only OMRI (Organic Material Review Institute) nutrients into the ground, regularly testing the soil and water, and using only seeds that are verified at the source to ensure that they are not chemically treated nor genetically modified. 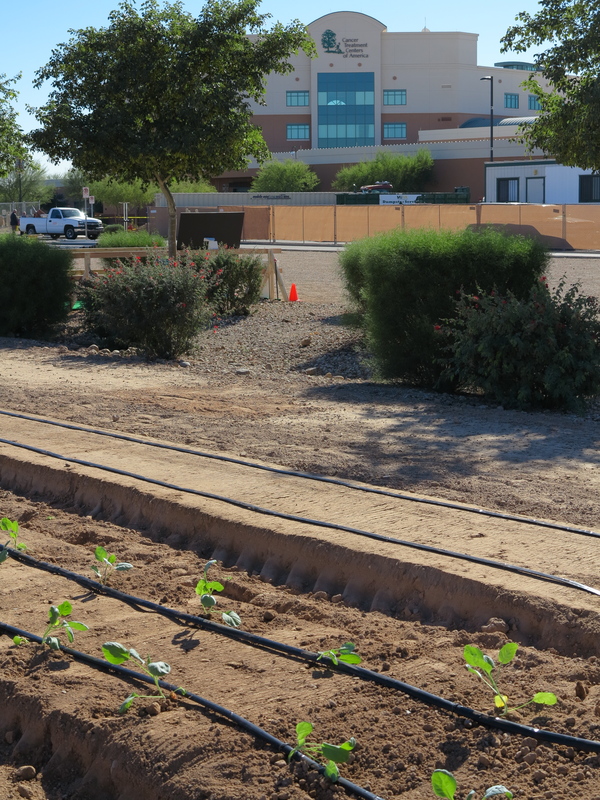 Any crops that are grown on the CTCA grounds will be considered and labeled as Transitional Organic until the certification process is complete. We will also regularly rotate the crops to allow for biodiversity in the local ecosystem. The almost two acre patient demonstration garden has not been farmed in the last five years and is qualified to receive immediate organic certification. Today we broke ground with the Cancer Treatment Centers of America, in more ways than one. I have had the privilege to visit and write about the Cancer Treatment Centers of America previously. (You can find previous posts about the CTCA here.) 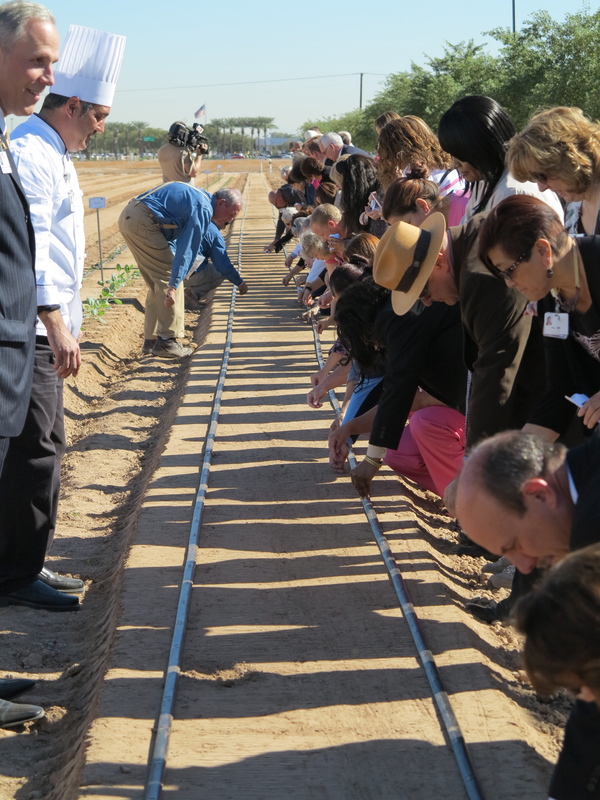 To have a hospital so dedicated to their patients’ wellness that they are willing to create their own organic farm is unprecedented. 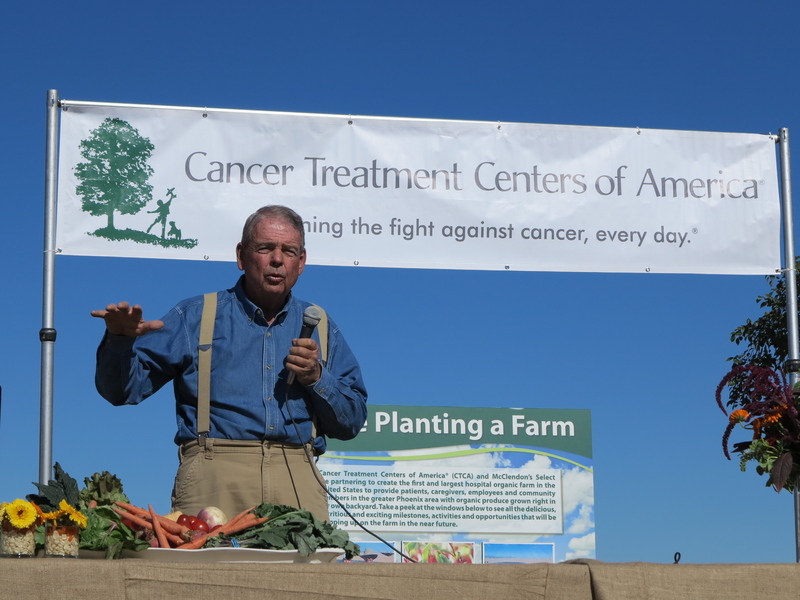 And yet, after everything I have seen from the Cancer Treatment Centers of America, they are on the cutting edge of treating and fighting cancer, so their willingness to create their own food source seems completely in line with their mission. We are honored and grateful to be a part of the very important work that they do. And it all started with the seed of an idea. ← See you in Scottsdale on Saturday!! Watching your own food grow! A simple idea that blossems to a great idea, I can picture healthier patients involved and shareing the positive energy with patient friends who will experience a positive desire for nutrition and that the future for their grandchildren will be delicious and healthy.